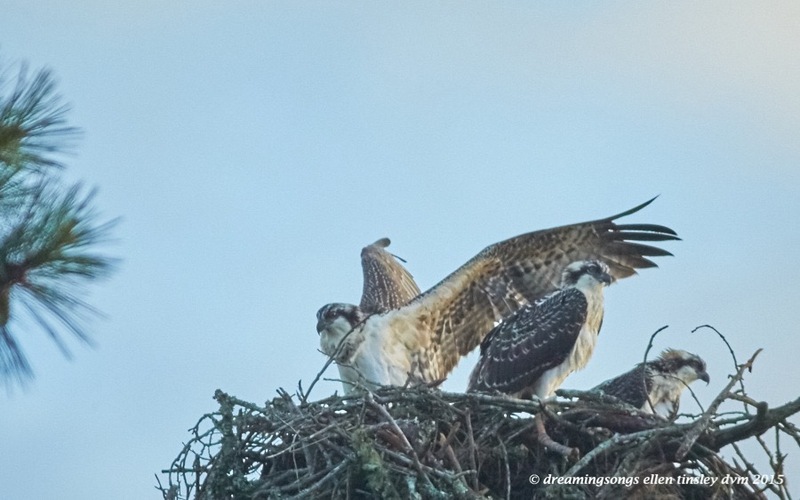 Before an osprey can fledge, can fly, it must develop flight muscles. The chicks are taking turns “wing wapping”. Wings are stretched, the air is beaten hard, the soul gets concentrated. One day soon the leap into flight will come. Posted in birds, Jordan Lake, ospreys of Jordan Lake, photography, raptors, wild birds and tagged as immature osprey, Jordan Lake, osprey, osprey chick, ospreys of Jordan Lake, raptor.